Endocrine Disrupting chemicals cause reproductive confusion in fish and others…..
Russian River issues changing rapidly and becoming far more complex…. The fire, the drought, atmospheric rivers, a warming environment and sea level rise, along with strong motivations for expansive economic growth, are all conditions currently demanding dramatic changes in water policy. Similarly, a history of poor groundwater management, and problematic land use policies have created urgent situations that need to be addressed. This letter describes some of the forces at work. Strong pressure for new housing…. •	The State Water Board staff requested that SCWA make major revisions to the document in order to clarify technical computer model analyses, but there may be other changes requested as well. We have no details as yet. 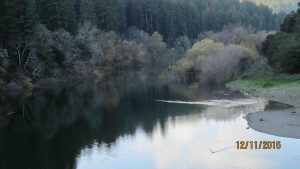 North Coast Regional Board releases study on lower Russian River toxins….